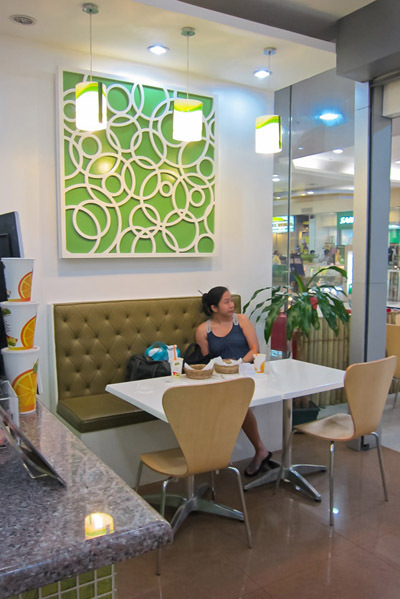 Tucked in the Sports Area/Zone of Robinson’s Galleria, Berenice brought me to Cafeteria Verde. I’ve passed by this little stall in the past, it piqued my interest but I never really stepped in. It was a big factor that Berenice mentioned she had eaten here before and liked it. 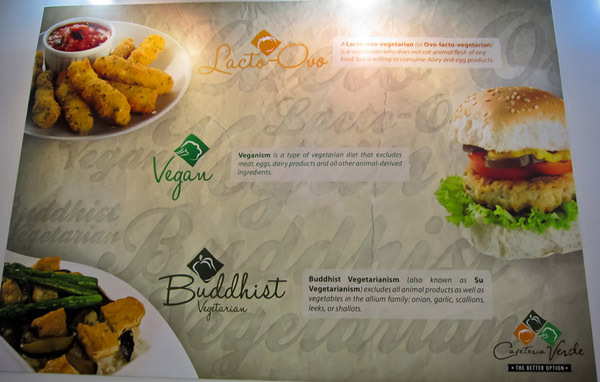 The carnivore gets to try another vegan shop, booyah! 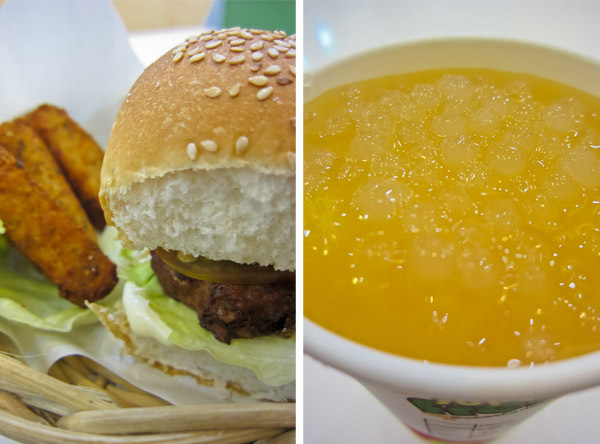 This was a fairly enjoyable and light meal which was exactly what I was looking. I don’t normally eat Zucchini but I enjoyed their Zucchini sticks. 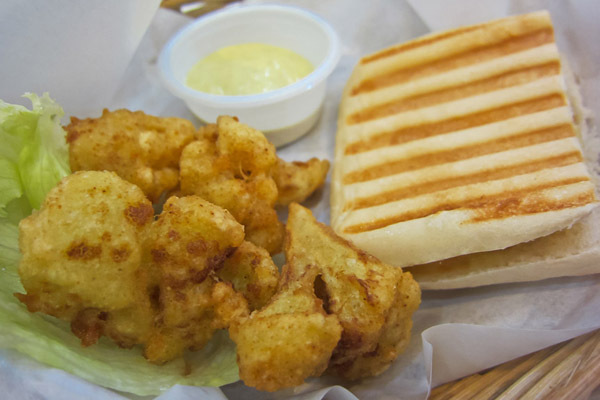 The realist in me thinks that I liked it more than I anticipated because it was breaded. 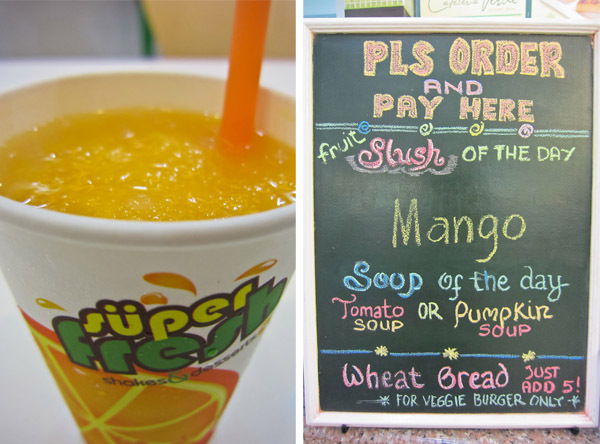 The Mango Fruit Slush complimented the meal very well and was refreshing. 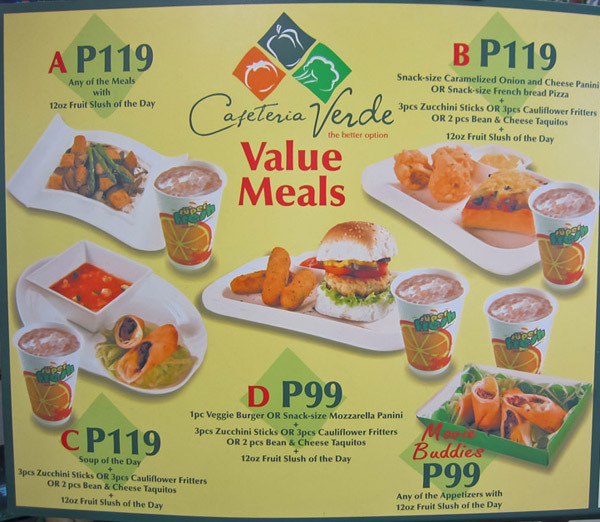 Cafeteria Verde has an assortment of other food and drink items on their menu but I was overwhelmed with the choices to I stuck with the value meal. 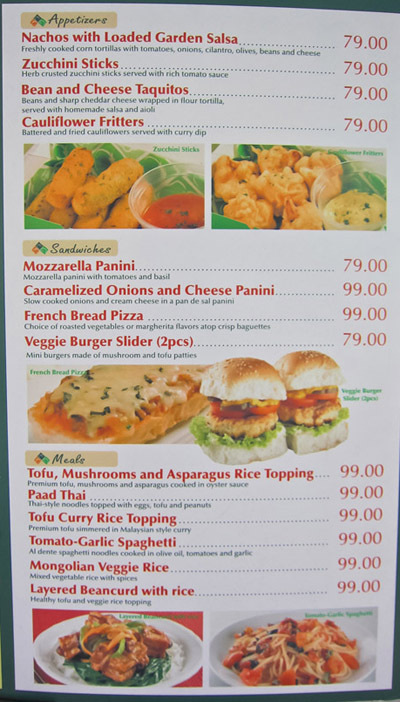 They also have proper meals like rice and pasta dishes. 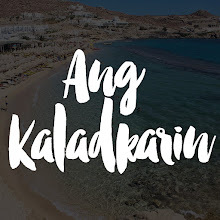 A word of caution, don’t bring the dudes here because they won’t enjoy it. The food here is too light for guys. 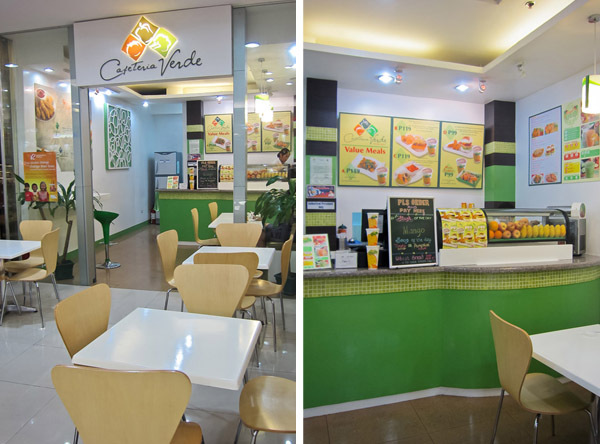 If you are looking for an alternative to the usual fast food or junk food options, give Cafeteria Verde a chance. Visit the quaint stall with an open mind and it may just surprise you. Heck, I’m a carnivore and I want to go back. It’s accessible too!